The Angels will place third baseman Yunel Escobar on the 10-day DL with a left hamstring strain, as per a team announcement. Escobar is expected to miss between 2-4 weeks of action with the Grade 1 strain, which is the least-serious type of such hamstring injuries. Escobar has delivered a solid .272/.324/.411 slash line over 170 plate appearances for the Halos, buoyed by a strong first week of the season and a red-hot May. The veteran already has five homers this season, tying his total from all of last season. Escobar’s early power surge is reflected in his .139 Isolated Slugging mark, which would be the highest of his 11-year career (his previous single-season high of .136 came in 2009, when he hit a career-best 14 home runs for the Braves). The loss of such a productive bat is a significant blow to the Angels, who already rank in the bottom-third of most major offensive categories. Mike Trout is having another incredible season and Luis Valbuena has hit well since returning from the DL, though the Halos have gotten little from regulars like Albert Pujols, Kole Calhoun, Cameron Maybin and Danny Espinosa. 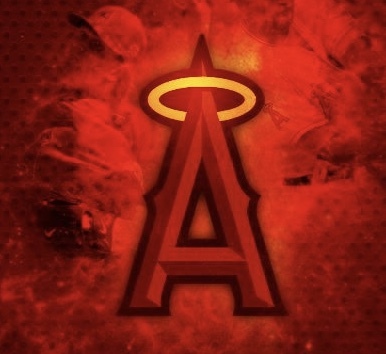 Despite this lack of offense and an injury-ravaged rotation, however, the Angels are staying afloat with a 19-21 record, good enough to keep pace in the tightly-packed American League. A corresponding move will be made once Los Angeles officially puts Escobar on the DL, though it seems like the Angels will simply keep Jefry Marte on the active roster, according to Pedro Moura of the L.A. Times. Marte had just been optioned to Triple-A earlier today, though if he’s sticking around in Anaheim, he and backup infielder Cliff Pennington are the logical candidates to handle third base while Escobar is sidelined. Coward should be up playing 2nd already. He can’t hit major league pitchers. Cowart has 130 AB over two seasons and has only played 23 full games. Most of his at bats come at the end of a game as a pinch hitter. He needs regular playing time to succeed. Look at Revere. After a week of regular at bats he looked like a productive player rather than an automatic out. Revere is a veteran. Cowart has never played a full season in the Majors. Cowart has to earn his playing time. He’s not entitled to it. Gomez will be added to this list shortly. Carlos Gomez. Pulled hamstring today also. All the more reason they signed Valbuena. Well they also got Cron back on the same day so it’s almost like making a trade. Escobar can actually get extra base hits. Cron is a singles hitter. I’m sorry but a first baseman in 18 games with only 2 extra base hits is pathetic. And has only 3 RBI’s. Valbueno has more in less games. LOL Cron is not a singles hitter. He’s a power hitter. But a notoriously slow starter. That’s why his numbers are so low right now. And even when Escobar is hitting .300 his overall value as a hitter is going to be just barely over or under 100 OPS-plus. Cron, even with his slow starts and playing only about half a season in his first 3 years, is going to be around 115-120 OPS-plus. Cron came back just in time. Now they dont need to choose between cron and valbuena. Both can play …until they both get hurt again.